Based on vague language in laws, the Oklahoma Tax Commission paid insurance companies more than $90 million in rebates. The rebates were paid to insurance firms that provide workers’ compensation coverage in Oklahoma and that had paid assessments required by state law to a fund called the Multiple Injury Trust Fund. Gov. Mary Fallin and a legislative leader said lawmakers believed they had ended the rebates when they rewrote the state workers’ compensation laws in 2011 and again in 2013. However, the language intended to eliminate the rebates was either left out or not written clearly enough to ensure that happened, Fallin said in written order. The Oklahoma Tax Commission continued paying rebates to more than 250 insurance companies from fiscal years 2011 to 2015. State Rep. Earl Sears, R-Bartlesville, House appropriations and budget chairman, said the payments were discovered this year during the final days of the legislative session. He was surprised, he said. A bill eliminating the rebates was introduced on May 13 and approved by the Legislature about a week later, in the final hours of the session. On June 1, Gov. Mary Fallin signed the bill into law and issued an accompanying executive order directing the Tax Commission to “no longer process the rebate of the Multiple Injury Trust Fund assessments.” The assessments to insurance companies will continue. With lawmakers facing what is expected to be another large budget gap for fiscal year 2017, Sears said he would “explore legal methods” to see of the rebate funds could be recovered. Denise Johnson, president and chief executive officer of the Independent Insurance Agents of Oklahoma, said she was aware of the issue, but declined to comment until she had more information. The rebates were part of an incentive program, developed about a decade ago to encourage more insurance companies to provide workers’ compensation coverage. Under state law, insurance companies paid an assessment into the Multiple Injury Trust Fund, which was earmarked for programs such as public employee safety and the workers’ compensation fraud unit. The incentive program was created in 2001 by then-state Sen. Brad Henry and Rep. Jari Askins, both Democrats, and involved a tax credit. In 2002, after insurance industry officials complained about the paperwork needed to qualify for a tax credit, the Legislature changed the incentive from a tax credit to a rebate. Companies who paid the assessments to the trust fund could have two-thirds of the amount rebated to them by the Oklahoma Tax Commission. The rebate program existed until 2011, when it was eliminated by Senate Bill 878, a massive rewrite of the state’s workers’ compensation system. That bill, which had more than 80 sections, replaced the workers’ compensation system with one using a three-member workers’ compensation commission. The bill contained no authorization for the rebate program. However, according to Tax Commission records, the state continued to pay millions of dollars in rebates to more than 290 insurance companies each year from fiscal year 2011 to 2015. 2012: $13.7 million to 299 companies. 2013: $13.6 million to 333 companies. 2014: $19.9 million to 299 companies. 2015: $29.2 million to 291 companies. 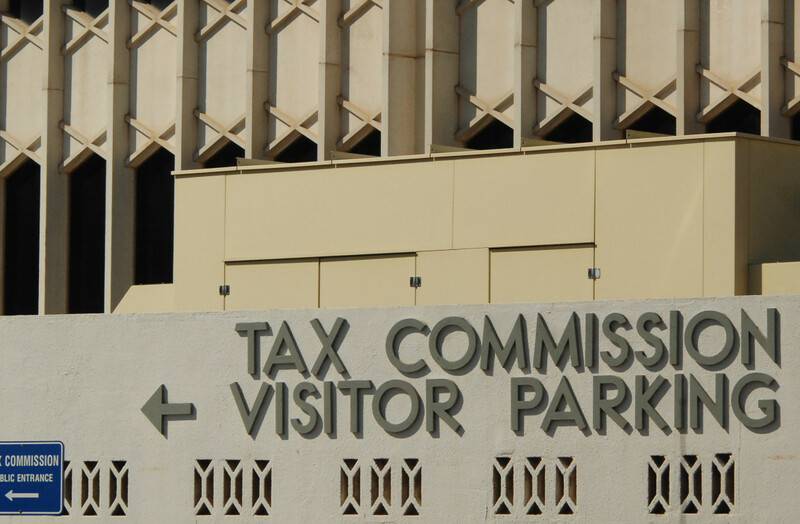 Paula Ross, a spokesman for the tax commission, said she was unsure why the rebates continued after the Legislature rolled back the program. Fallin’s executive order telling the Tax Commission to stop issuing the rebates said that in 2011 lawmakers had specifically repealed the statute authorizing the rebate. “This modification resulted in the loss of a statutory basis to pay a rebate to an insurance company,” the governor’s executive order stated. Fallin’s order acknowledged the Legislature didn’t provide specific language about what was to become of the rebate. Because the 2011 law expressed “no clear intent” on the rebate, “the Oklahoma Tax Commission continued to pay the rebate to an insurance company that could demonstrate that it had been assessed (under the new law),” the governor wrote. In 2013, “the assessment determination was again modified,” the governor’s executive order said, but again clear intent about the rebate wasn’t included. Sears said House Bill 2238, passed on the day the 2015 session ended, would finally end the rebate and prevent any future rebate payments.